2017's Wonder Woman in disguise! Entertainment Earth Exclusive! She's no ordinary secretary! From 2017's Wonder Woman film, actress Gal Gadot picks up the mantle of Amazonian Princess. This exclusive Wonder Woman Movie Diana Prince Pop! 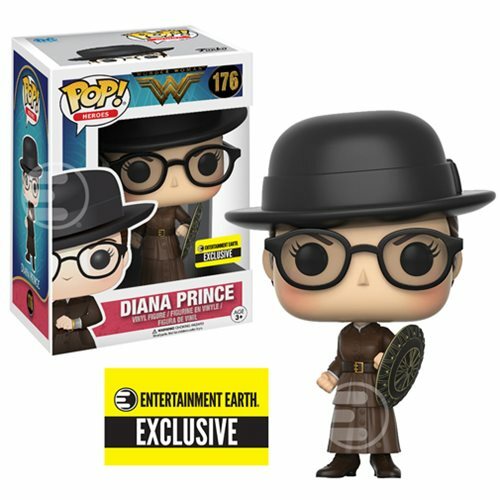 Vinyl Figure features Diana Prince wearing her civilian disguise. She comes armed with a removable shield, just in case the day needs saving! Measuring about 3 3/4-inches tall, the Wonder Woman Movie Diana Prince Pop! Vinyl Figure comes packaged in a window display box. Don't miss it!